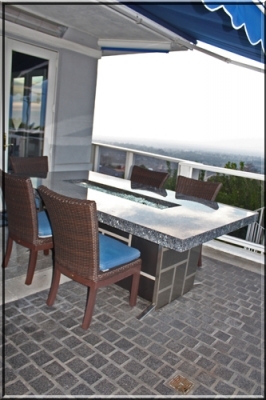 These two tables were made from #316 grade stainless steel. 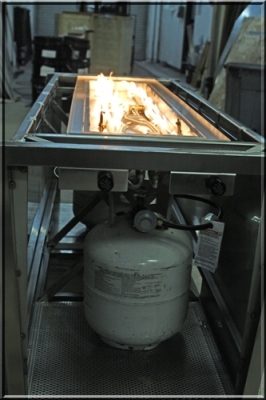 Dual Propane Control burners (two burners). 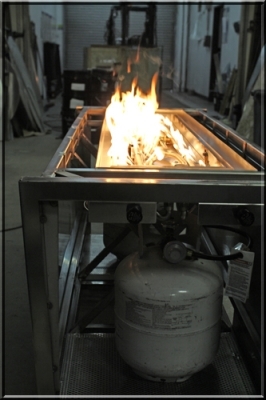 100,000 btus' each burner on high. 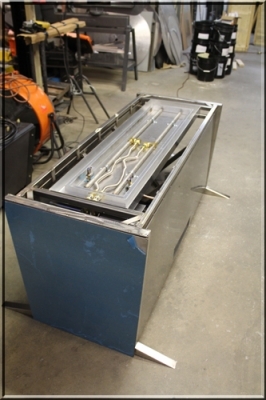 In the bottom center you will notice the rectangular holes, this is where heaters were installed. 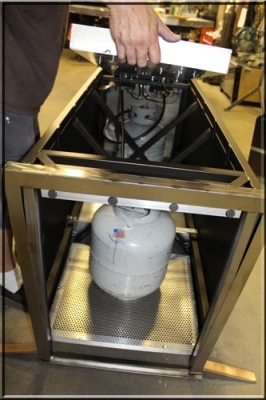 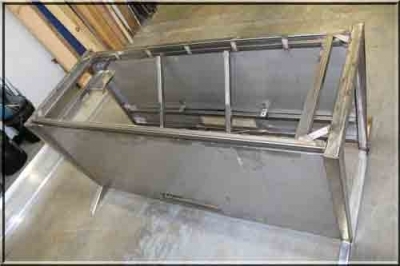 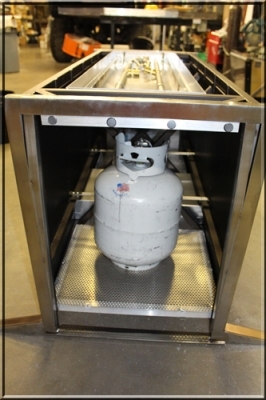 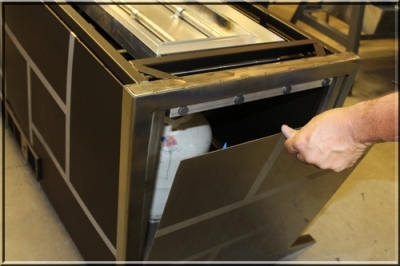 Below you can see the end panels are removable for easy access to the propane tanks. 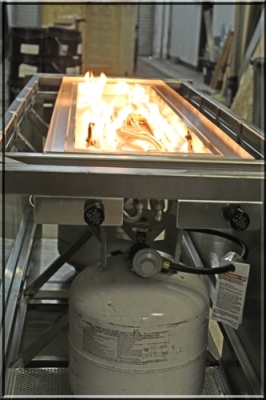 Both burner on high. 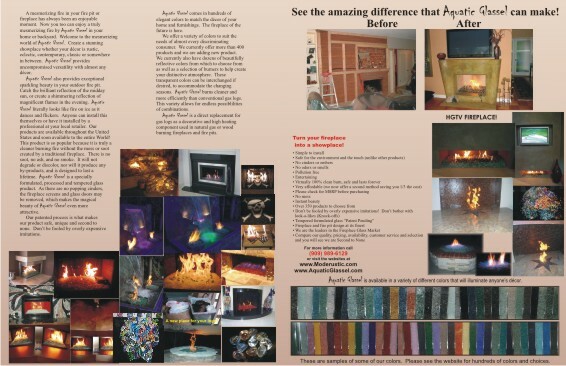 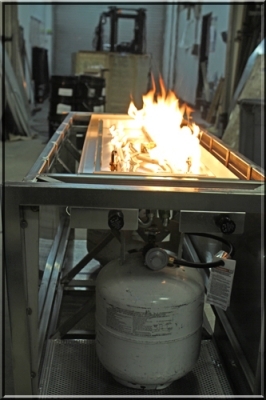 200,000 btu's were and are being burned. 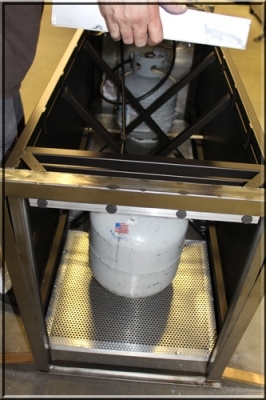 You can see the dual manual controls below. 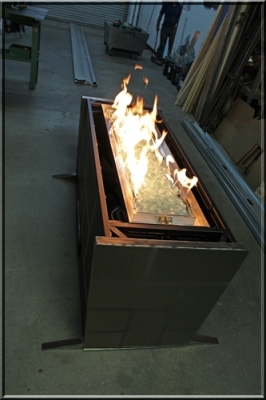 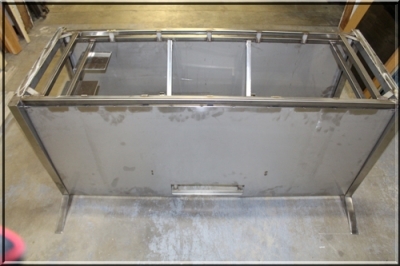 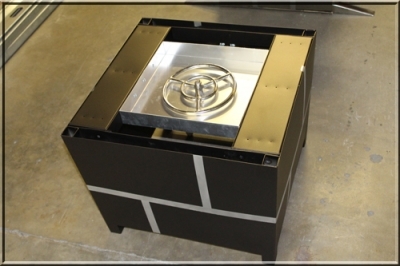 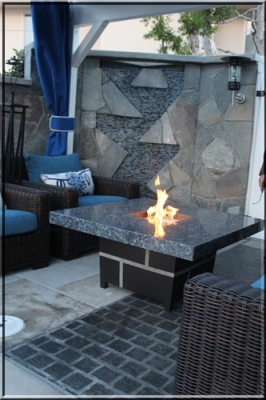 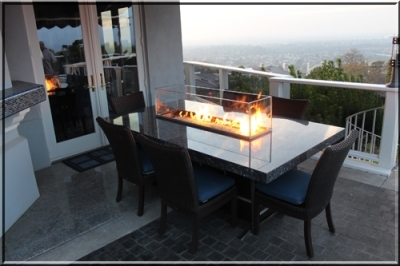 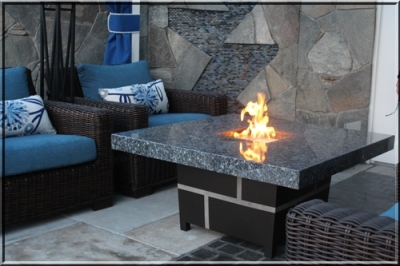 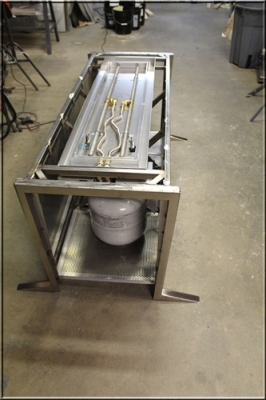 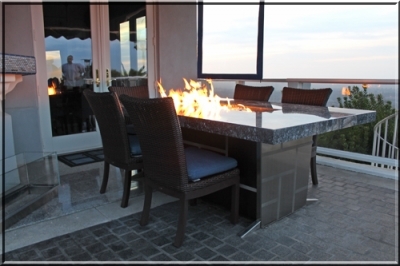 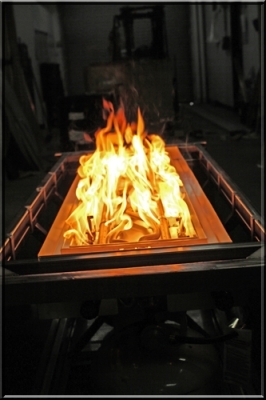 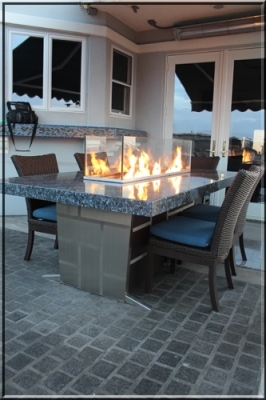 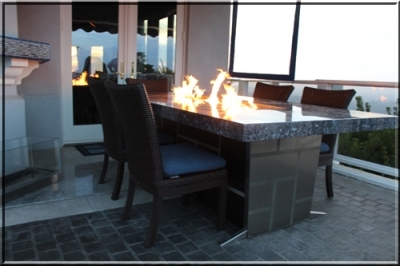 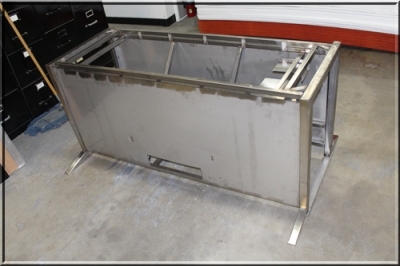 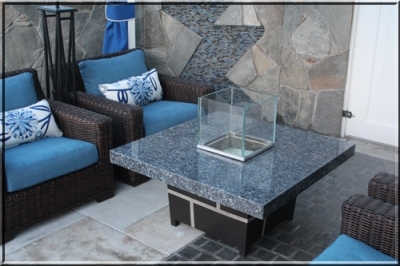 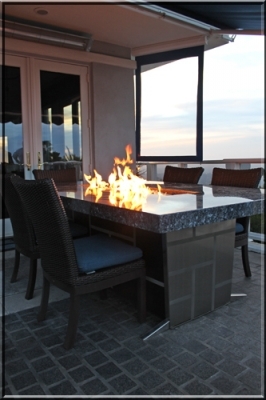 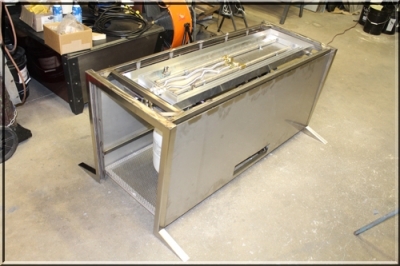 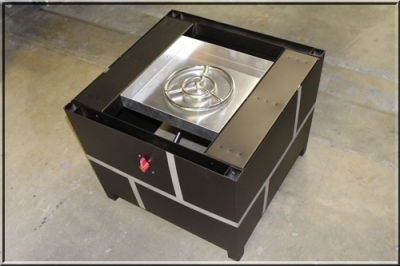 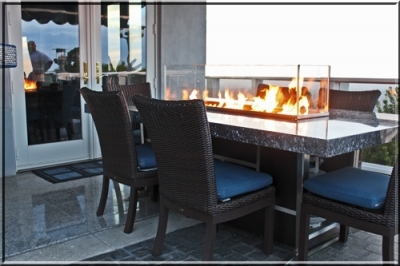 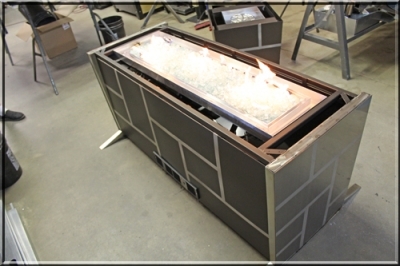 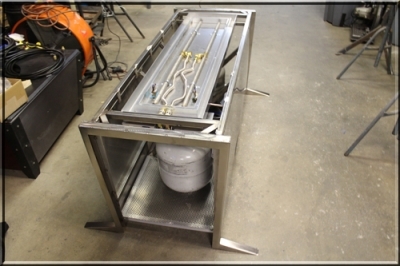 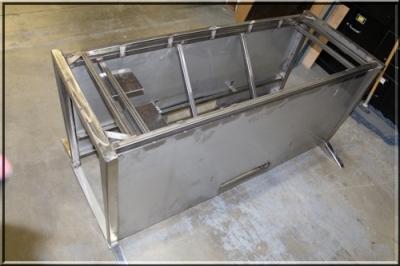 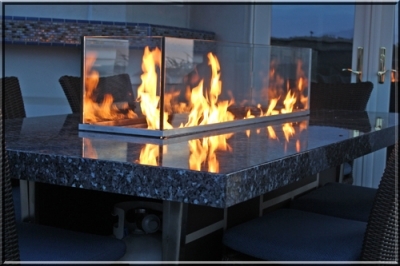 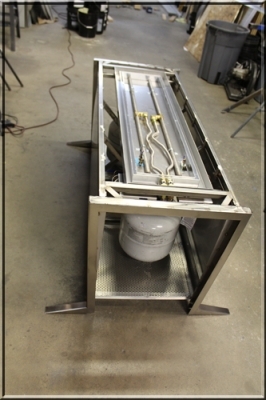 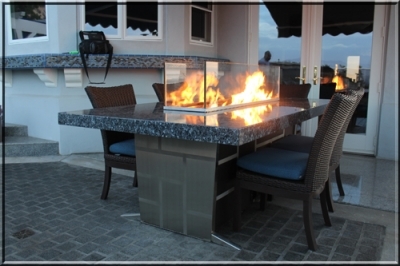 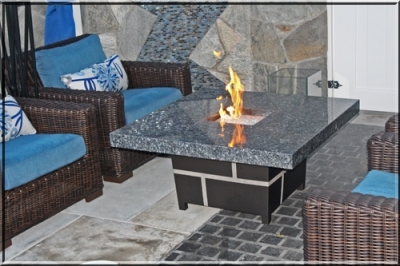 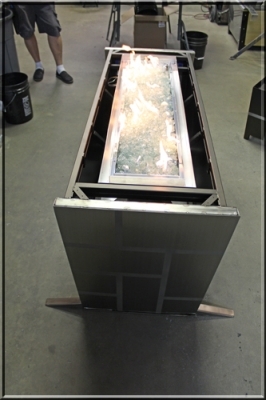 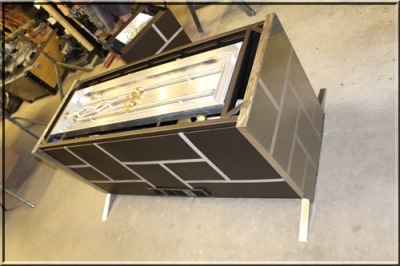 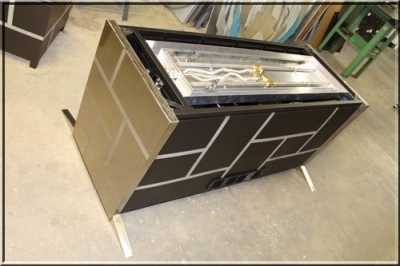 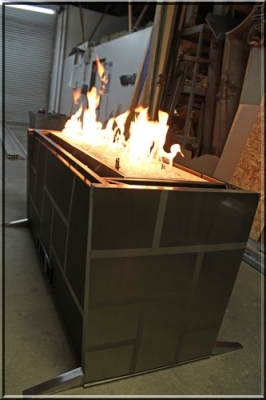 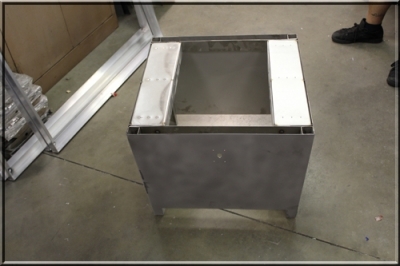 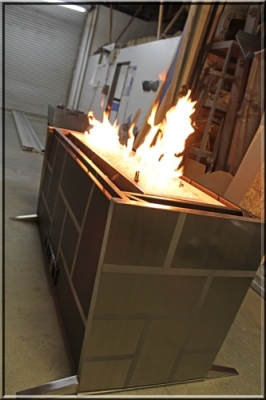 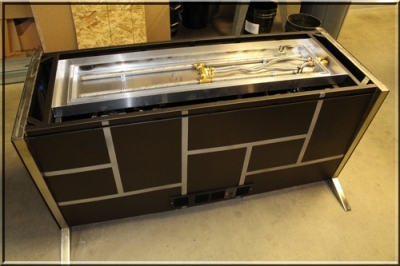 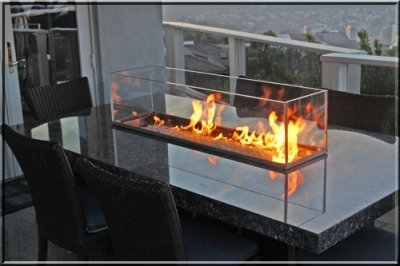 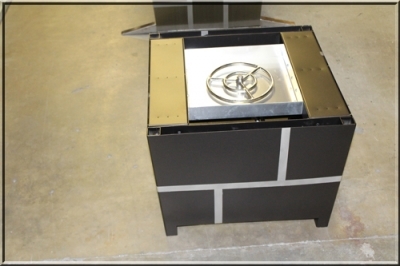 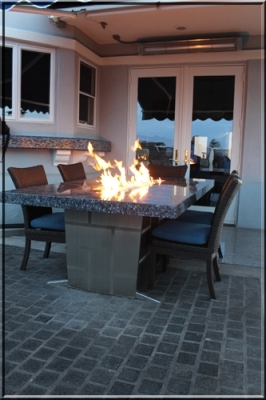 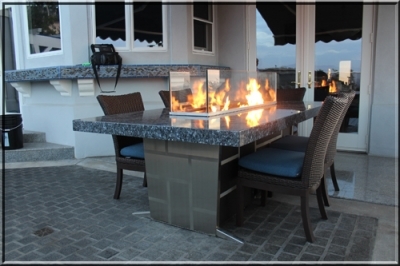 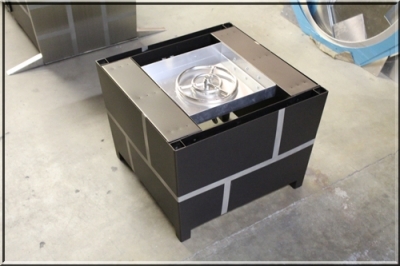 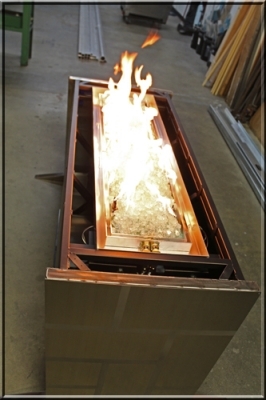 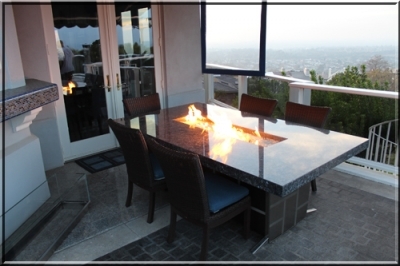 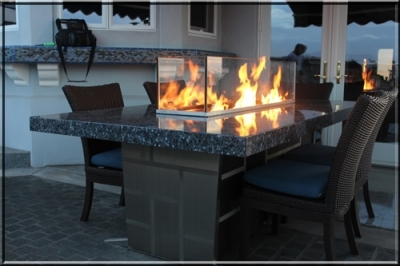 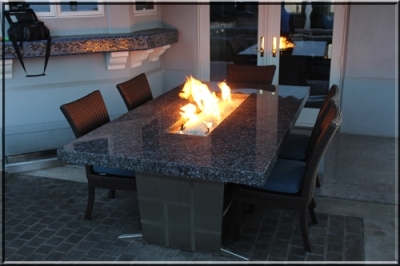 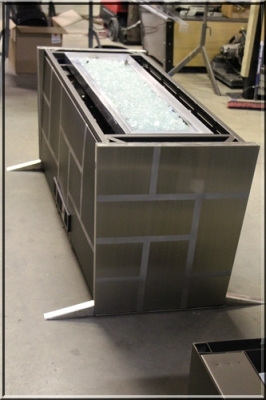 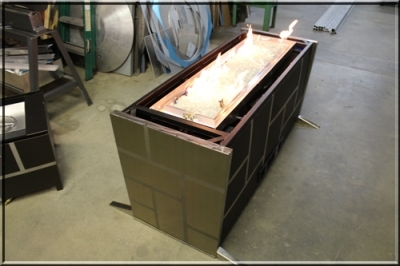 This smaller table was built with #316 stainless steel as well but burning natural gas. 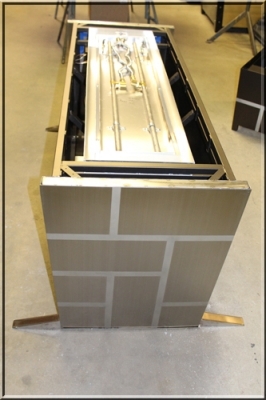 The end panels are brushed vertically and the lines were sand blasted in then we clear coated the brushed panels leaving the line simply blasted for texture. 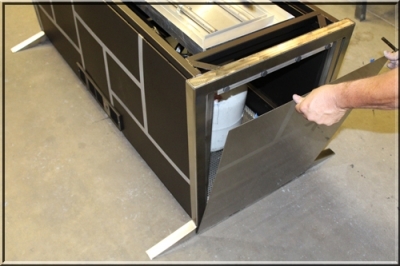 The end panels are simply held up with magnets, no hinges, no problems. 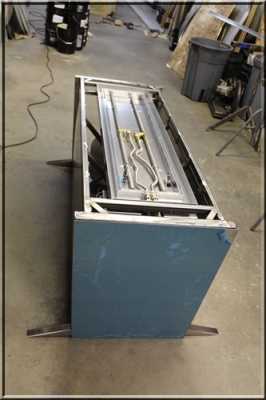 and the same line effect as the end panels was applied. 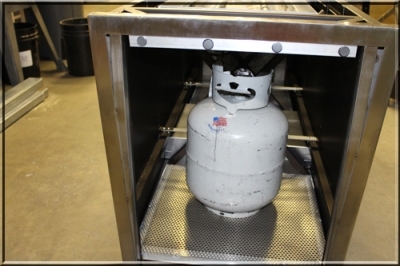 You can see the red manual valve to turn the gas on. 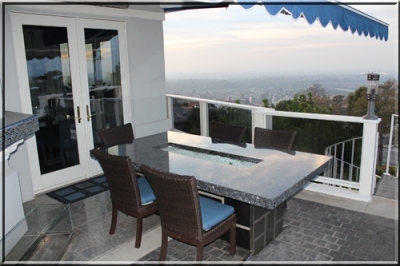 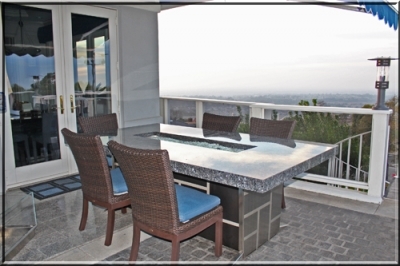 The tables were installed in Newport Beach California. 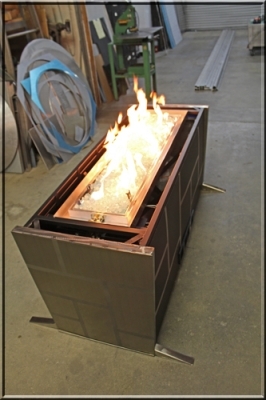 There were glass shield made to keep the flames from blowing in heavier gusty breezes. 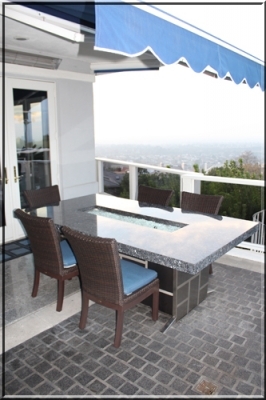 The granite top weighed about 400 lbs and the table were built to withstand such weight. 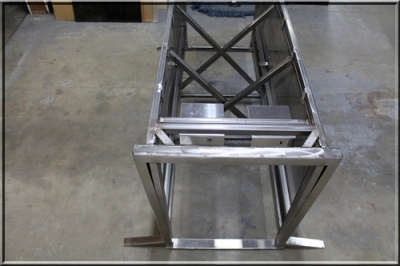 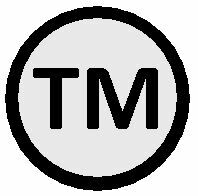 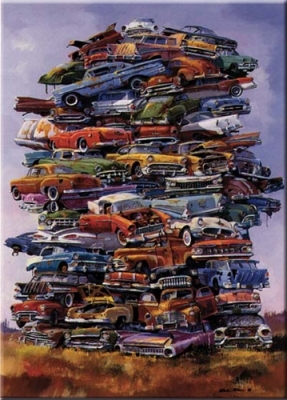 As you may of noticed the structure that was incorporated during construction. 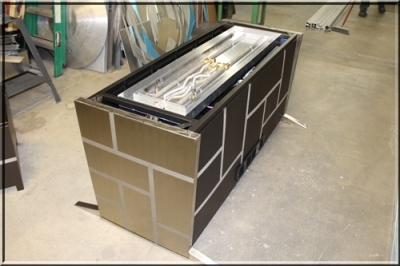 In the back ground, you may notice an electric clear Visqueen curtain. 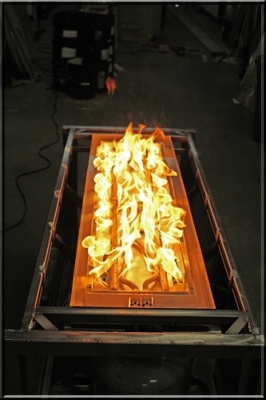 This works like a sail and prevents the wind from blowing you or the fire away. 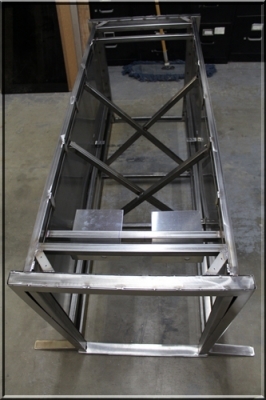 A sail if you will. 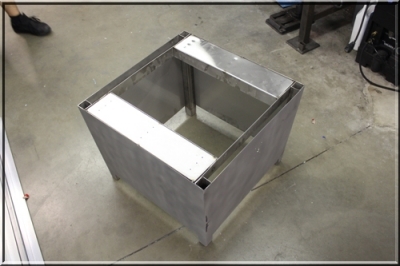 Simple design for a simple problem. 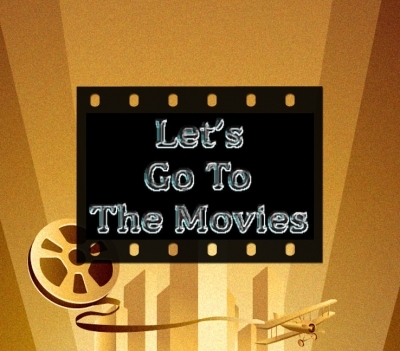 It's not rocket science, now is it? 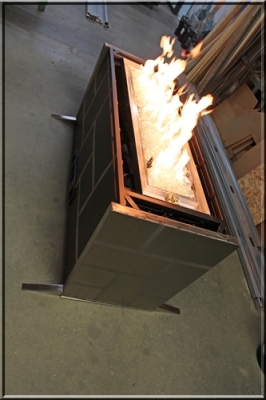 This is how we stop wind! 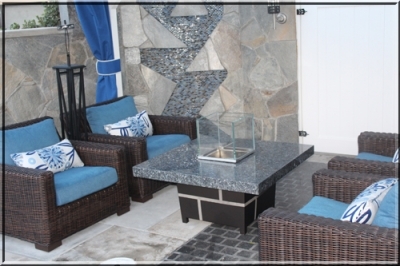 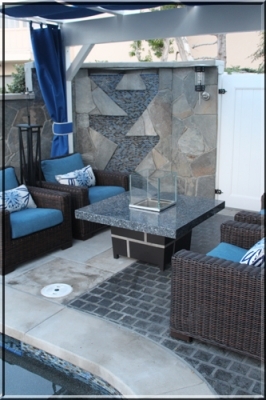 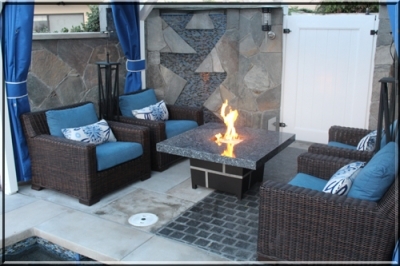 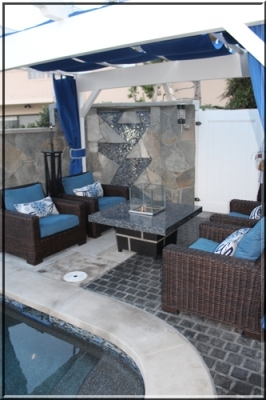 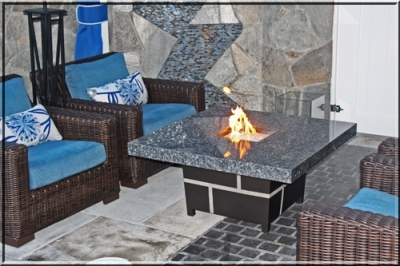 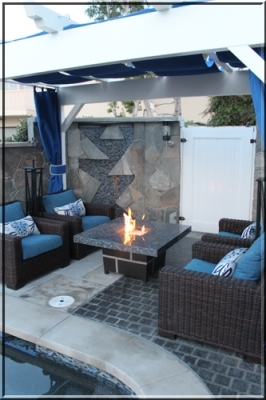 Here is the smaller natural gas matching fire pit at the pool side veranda. 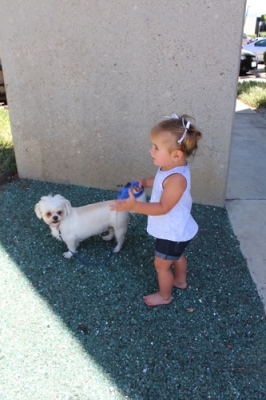 Notice the weeping water wall in the back ground. 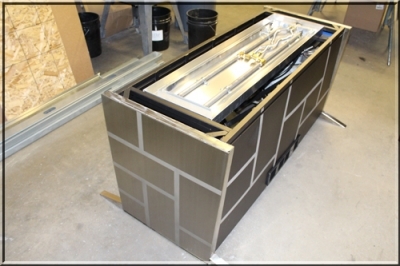 The windshields can be used or removed, depending on the weather. 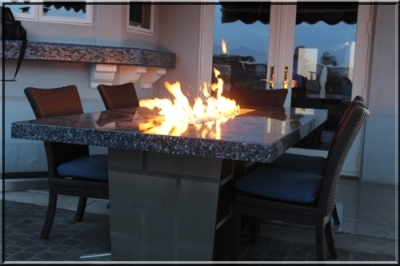 We build and design to your wants and needs.